SAB Tv India's most famous Comedy Serial ready to Launch their new Comedy show "Jai Kanhaiya Lal Ki" which is going to replace their existing Tv serial Peterson Hill in June 2015. This new Tv show is being produced by Garima Productions. This new show is based on the Story of Akshay Kumar and Paresh Rawal famous movie "OH MY GOD". Peterson Hill is not able to attract viewers so Perterson Hill show has Flopped . The new tv serial story is revolving around Lord Krishna. So Lord Krishna is main character in this show.Lord Krishna is guiding peoples to live their life Happily . The concept of the is similar to Zee Tv Famous Comedy Serial "Neeli Chahtri Wale". Casting for the Show is still in process. If we get any Update regarding show cast we will update it here. Till than stay tuned with Us. 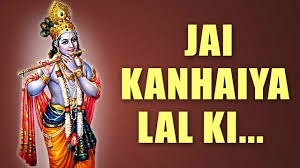 Peterson Hill will go off air from 22nd,May,2015 and the New Show "Jai Kanhaiya Lal Ki" is starting from 6th,June,2015 taking the Time slot of 10:30pm.This new tv serial is replacing Peterson Hill Timings.